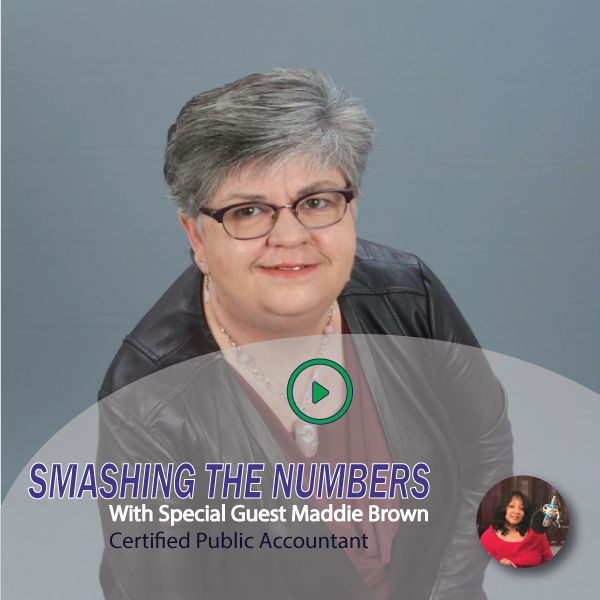 Maddie Brown is a Certified Public Accountant with thirty plus years working with small business entrepreneurs. Maddie is a nationally recognized expert in small business financial operation. In lots of ways, Maddie Brown is the entrepreneur’s financial entrepreneur. She brings the financial know-how that most small businesses are lacking. Many of Maddie’s clients are professional artists, speakers and consultants. These individuals (many of them accomplished, self-starting women) have built 7-figure careers around working with other entrepreneurs to lead the life they desire. Maddie is also the proprietor of “Smashing the numbers” which is an accounting firm committed to providing clients with comprehensive support for their business finances.